Do you Really Want High Energy Bills? You’d be amazed at how may people assume “bigger is better” with a new heating and cooling system. The goal is more comfort and efficiency. Your system needs to cover the area and be able to respond to the quality of the area. That is why units that are sized property are not based solely on the square footage of the house. If the equipment is oversized for the area, it will cycle off and on more frequently, which can reduce the life expectancy while increasing energy consumption. And you could be inviting more moisture – and the mold that often comes with it. On the other hand, when the equipment is undersized, the wear on its components and lack of efficiency can also lead to early equipment failure. 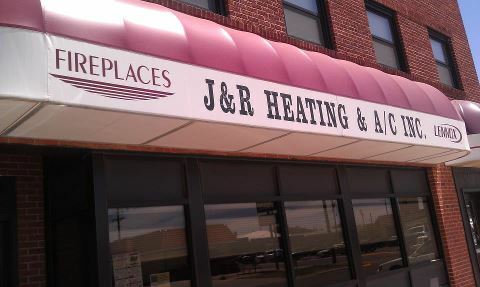 Your heating and cooling system is just one part of two systems that work together for your comfort. All the materials that surround your interior space are called the “envelope”. This envelope greatly affects the comfort and cost to operate your home. Combining the right amount and type of insulation, using effective air sealing techniques and installing the right windows can reduce energy costs. It’s that time of year again when the leaves start falling, the temperatures start to drop, and it’s time to get your fall maintenance done. Just like you need to make sure you’re healthy and functioning properly with normal levels of cholesterol and blood pressure, it is also important to regularly maintain your furnace. Two things a homeowner can check for themselves are furnace filters and their thermostat. Before you start your furnace it’s important to make sure the filter is still okay from the last season, if not, change it as soon as possible. Filters will need to be changed more or less then that depending on what kind of filter you have. Check with your local HVAC dealer if you have any questions regarding your filter. Another thing a homeowner can check is their thermostat. First, switch the thermostat over to heat and if it doesn’t work check the batteries in the thermostat. If it still doesn’t work you probably have a bigger issue and we recommend calling your local HVAC dealer. Even though there are some things that homeowners can do themselves, it’s still best to have professionals conduct seasonal inspections and adjustments on your furnace, as some furnace checks can be dangerous. 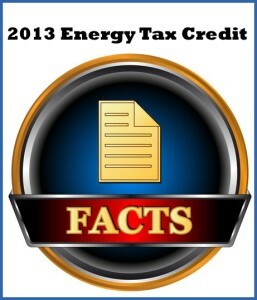 The energy tax credits that the U.S. Congress reinstated in January 2013 will expire at the end of the year. These credits help offset the cost of installing new, high-efficiency heating and cooling systems. You can deduct 10 percent off the cost for a maximum credit of $300 for air conditioning systems and heat pumps or $150 for forced-air or radiant heating systems. If your current HVAC equipment isn’t running efficiently, requires frequent repairs, or is over 10 years old, this year could be a good one to take advantage of these federal tax credits. They cover primary residences only and are for existing homes, not new construction. Minimum standards for heating and cooling systems depend on the type you choose. I was going to put this in our newsletter but I was told it was too long so I’m going to share it with you on wordpress because it is that good. Using a paring knife, trim the stems off the portobellos. Wipe the caps clean with a damp paper towel. Except for the portobellos, combine all of the ingredients in a mixing bowl and whisk until the salt dissolves. Whisk in the oil and basil. Dip the bottom of the mushrooms in the sauce until coated and place the mushrooms on a cookie sheet. Spoon the remaining marinade over the mushrooms getting all surfaces covered. Let them marinate for 1 to 2 hours. Reserving the marinade, grill the portobellos on the grill, gill side down and grill for about 3 minutes. Turn the mushrooms over and spoon 1 T of the reserved marinade into each cap. Continue grilling until the mushrooms are browned and very tender, about 4 more minutes. The mushrooms are done when they can be easily pierced with a skewer. After the mushrooms have grilled for 2 minutes on the second side, place a slice of cheese on each and cover the grill to melt the cheese. Lightly toast the buns on the grill. Place each grilled portobello on a bun and add the condiments of your choice. Enjoy!